A great new patch. It's a psychedelic flying eye based on the original artwork of psychedelic artist John Warner. 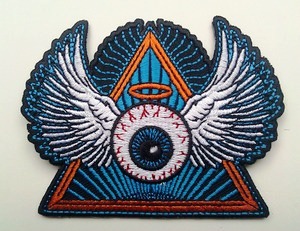 Patch is approximately 3 1/2" wide and can be ironed on or sewn on. It would look great on a jacket or bag.